... 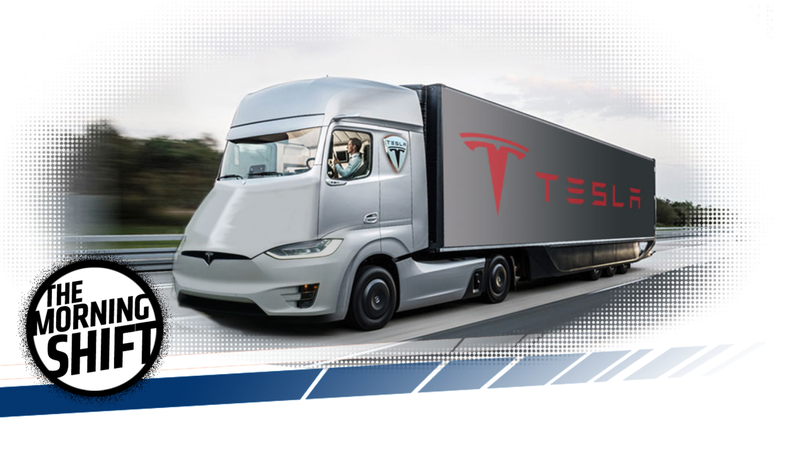 The entrepreneur has tantalized the trucking industry with the prospect of a battery-powered heavy-duty vehicle that can compete with conventional diesels, which can travel up to 1,000 miles on a single tank of fuel. That sounds like something Tesla would say. New-car sales in the U.S. are in a slump right now—just ask General Motors—but Bloomberg reports that revenue there and at auto-parts stores is on the rise. That seems like a weird claim, until you remember that dealers usually make the most money on service and repairs. Car dealers didn’t use to handle so much repair work. But when the auto market last contracted in 2008 and 2009, new-car retailers looking for a revenue boost improved their service business to win share from independent shops. They’ve managed to keep a lot of that profitable work even as new-vehicle sales recovered. But at the same time, 2,000 Chicago dealership technicians—the people who do the repair work—are striking right now over how they’re paid for their money-making job. Well, it’s a money-making job for the establishment, at least. Tesla is bad at making its delivery targets. Like, really, really bad at making them. Tesla’s actually just bad at doing things on time in general, so Automotive News reports that the company will hand a $700,000 bonus to its global sales and service chief if he can meet delivery targets for cars in the last two quarters of 2017. Tesla has its new, entry-level Model 3 in the works, which had almost 400,000 reservations in 2016. The company’s long had a lofty goal of producing 500,000 cars annually by 2018, but delays and low delivery counts are kind of Tesla’s thing. We’ll see how it goes. Under the incentive compensation plan, [sales and service president Jon] McNeill will receive the amount if Tesla meets vehicle delivery targets during the third and fourth quarters of 2017, the company said in a filing. The payout will also take into account operational and financial metrics relating to vehicle service performance, as well as costs and customer satisfaction scores during 2017, the company said. Tesla CEO Elon Musk warned earlier this month that the company would face months of “manufacturing hell” as it increases production of the Model 3. Surely $700,000 can buy you a ticket out of hell. Honda is hardly alone in embracing a shift that’s influencing carmakers from Wolfsburg to Detroit as companies increasingly kowtow to the almighty Chinese buyer. The rapid expansion of Honda’s footprint in China shows a reordering of priorities for a global manufacturer that long has prided itself on its tight bonds with America but now sees bigger growth opportunities elsewhere. China’s rise has complex ramifications. Chinese tastes and trends increasingly will flavor models sold worldwide. More vehicles will be developed for China first before being sold in the United States and other markets. The report also talked about just how quickly sales are rising in China: Honda sales went up 24 percent there in 2016, while sales in America only rose 3.2 percent. Automotive News has a lot more on the topic here, if you want to know where future design influence for companies like Honda will likely come from. Bloomberg reports that General Motors CEO Marry Barra joined Walt Disney’s board on Thursday, which sounds a lot less controversial or stressful than being on President Donald Trump’s advisory business councils. Sounds great and all, but let’s start working on that Cars movie. On this day in 1919, the BBC reports that that “world’s first daily international passenger air service launched” with a trip from London to Paris. Nearly 100 years later, passenger air services are busy dragging bloodied people off of flights, mysteriously landing with our once-alive giant rabbits deceased and all kinds of fun stuff like that. Three cheers for air travel! Neutral: What Would You Do With A $700,000 Bonus From Work? Wouldn’t that be a nice incentive from the ol’ 9 to 5.